It is important for any commercial facility to choose the best option for commercial low slope roofing in Seattle, WA area to ensure safety. To determine the best roofing for a low slope roof could be challenging. 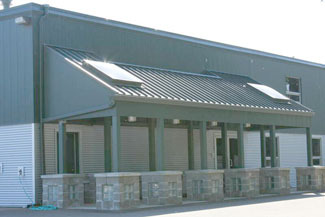 If you want to gain commercial roofing information, you need to check with the professionals. One such reliable commercial low slope roofing company around Seattle is Johnson Exteriors, Inc.
We ensure that we use the best possible options that are within your set budget. commercial low slope roofing can bring utility costs down and there are different types of commercial roofing systems available. 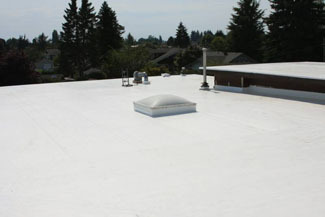 One of the most popular options for commercial roofing in the Seattle area is commercial single ply roofing. Commercial property owners reap the benefits of commercial single ply roofing and they generally pay less, too. We will give you all the necessary single ply roofing details along with single ply roofing costs estimates before we begin the work. You can decide on the commercial single ply roofing you want for your property. If you need any help choosing the commercial single ply roofing, we can suggest the best option for you. Some of the options in commercial single ply roofing are TPO, PVC and EPDM. 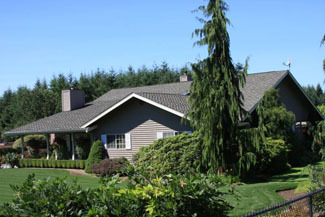 There are different companies offering single ply roofing systems in the Seattle area. You need to find a professional and reliable single ply roofing systems installer. To do that, you need to research and compare different companies that offer installation of single ply roofing systems. You also want to consider cost, the material used and the company's experience. We are familiar with various single ply roofing types and can suggest the best among the different single ply roofing systems. Call Johnson Exteriors, Inc. at (360) 226-2521 for commercial low slope roofing installation in the Seattle area. Book a consultation for your single ply roofing system.